NO ONE SPECIALIZES IN KILLING TERMITES LIKE TOTAL PEST SOLUTIONS. For expert pest control services and lawn & shrub care in Polk County, Florida, contact us at Total Pest Solutions! At Total Pest Solutions, our main goal is to help you achieve a lawn and home that is free from critters, pests, rodents, and other annoying insects that could cause potential harm to your property. 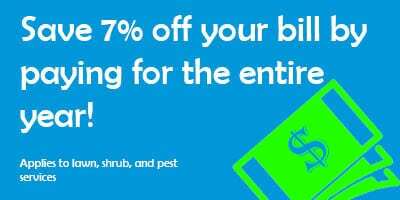 If you choose us as your pest control company, we guarantee you won’t regret your decision. Our services are highly varied, and our technicians will come to your home ready to work and get down to the source of your bug problem every time. If you’re looking for lawn care services provider in Polk County, Florida, we can help! 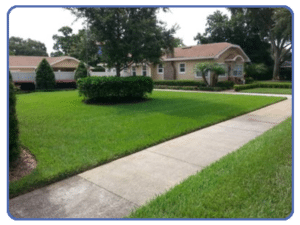 Our lawn care treatment options were designed specifically with the unique characteristics of Florida lawns in mind. When you call us for lawn and shrub care services, we can help you control crabgrass, weeds, prevent diseases and funguses from developing within your plants, and provide you with detailed comments and watering instructions after every service. With our services, your lawn will become the greenest in your neighborhood and the envy of all your neighbors in no time! Total Pest Solutions is the best in the industry. If you need help preventing and eradicating insect infestations in your home, we will use odorless products on the interior, service your attic, treat your home’s exterior quarterly with a granular and liquid product, and come back if you have any more problems for absolutely no charge. Don’t let mice, cockroaches, aphids, ants, or spiders take over your yard or the interior or exterior of your home. Instead, give us a call at Total Pest Solutions today to schedule an appointment for a free estimate and assessment of your needs. We serve all of Polk County, including Lake Alfred and Lakeland, FL and surrounding areas. 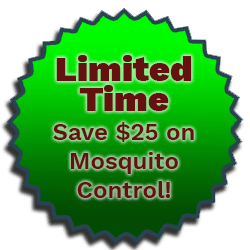 Total Pest Solutions is a full service pest and lawn care company that provides pest control and lawn care services to the Polk County area. We serve both residential and commercial customers. 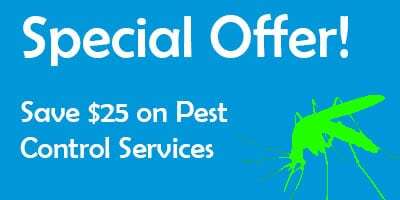 Total Pest Solutions will solve your problem, or we will make it right at no cost to you. We are here when you need us. With 5 technicians on call, we can solve your problem… fast. Give us a call today and find out how we can best serve you and your family. We are a team with a combined 51 years of experience, ready to solve your problem and make things right. 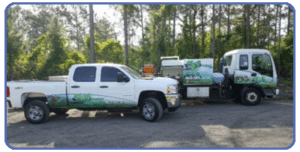 “I have had the pleasure of working with Total Pest Solutions for approximately seven years and I was asked to say a few words about their organization. I find this “few words” requirement difficult to fulfill because there could be so many words written about them. So as requested, here are just a few words. Seldom do you find today an organization so dedicated to the customer. Most are in it for the money and see you as nothing but a dollar sign once they have you on their list. Total Pest Solutions sees its customers quite differently. You are treated with respect and concern for your yard as if it was theirs. While they are not on call 24 hours a day, they are as close to this as could be expected. With a simple phone call or email, they will be at your residence should a problem arise. They have a great phone staff to take your calls and handle digital photos of the “creepy crawlies” you may find in your yard. They then do the research and the technical staff is dispatched. Their technical yard staff is incredibly knowledgeable about your lawn as well as the materials they are using to treat it. “I have lived in this house since 1965. In all this time I never has a pest problem. Then one March Morning it hit. A swarm of Termites. Between the shower curtain and the wall. I went across the street to my neighbor Ron. He said, “I’ll give you the phone number for the service I use. Total Pest Solutions. They are close by in Lake Alfred.” I was very upset about what faced me, TERMITES! I immediately called Total Pest Solutions. The next morning the first worker came and I watched him drilling holes in the carport floor, the next day the owner himself came to douse all around the house along the wall. I took a photo of him next to the big tank of BASF solution. Now, 4 months later, I see no recurrence of the Subterranean Termites. I admired the speed of response to my problem, the cleanliness after completion of the application and the friendly voices on the phone. The printed material they hand out is also very informative.